This property is available over December and January only. 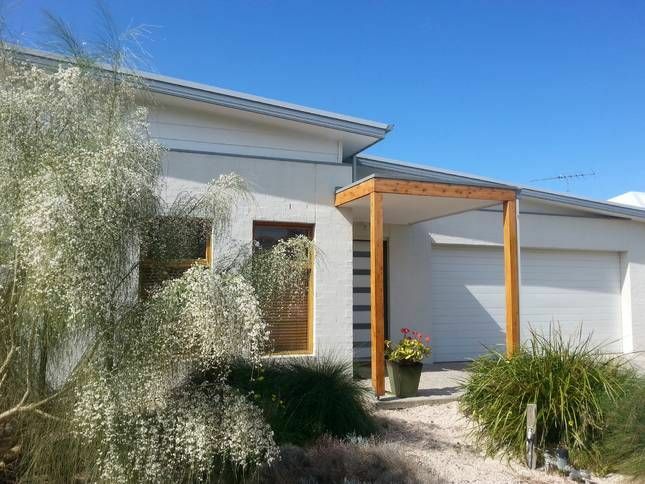 This central family friendly beautiful home in Seabank Estate is a short walk to the main street, beaches (both surfing and child friendly), river, parks and childrens playgrounds, cafes and restaurants, golf courses, skate park and walking tracks. With four large bedrooms, two large living areas, large laundry, modern kitchen, evaporative cooling, large family friendly yard - it has everything you need! Featuring a sunny north aspect overlooking a large secure yard with outdoor entertaining area and BBQ. Kids can enjoy the outdoors on the trampoline in full view of their parents. There is a main open plan kitchen, dining and living area in addition to a separate large rumpus room - perfect for the kids! There are two TV's and DVD players. The master bedroom has it's own ensuite while the remaining bedrooms have a separate toilet and bathroom with shower and separate bath. A 20 minute drive will have you in Geelong for shopping and movies, while a 10 minute drive will have you at Adventure Park for a fun family outing. This is a family friendly neighborhood. No party's, smoking and no pets please. The house is really well positioned as it's only a short walk (10 mins max) into town and there's a park nearby if you have young children. The house is big enough for two families with plenty of outdoor space for kids to run around. The bbq and outdoor setting is lovely - dining table plus an outdoor lounge and chairs, perfect for afternoon and evening drinks! We will definitely be back. Thanks Bec. This property was much better than I anticipated. The floor plan really suited our family and we were able to zone different areas for different purposes, so we each had our own space, when needed. My son and his wife stayed in the master with their baby. This is conveniently located well away from the other bedrooms, so no one else was woken with nightly feeds. Importantly, it was clean and very well maintained. We brought our food with us and everything else was provided, laundry, cleaning products etc. and some pantry basics. The backyard is spacious and we enjoyed a barbecue, games and general relaxation, in that space. One night I had my extended family over for dinner, they were staying nearby, and there was plenty of room for us all to enjoy the night comfortably. They were all jealous of our gorgeous digs! Although, it appears further away on the map, everything in Barwon Heads is within walking distance. Also, the servo around the corner was very handy, it sells general merch, some food and also a laundromat. Bec was very accommodating and a pleasure to deal with. I highly recommend this house and hope to stay again. Thanks, Bec! Thank you Maia! You and your family are welcome back anytime. We had a very enjoyable stay. The house was perfect for our family. Good amenities, clean and very comfortable.